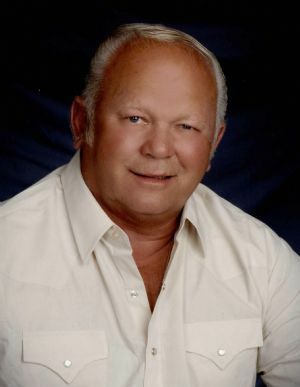 James Carl Beier, age 75, of Ripon, WI, passed away on Saturday, March 23, 2019 at St. Elizabeth’s Hospital in Appleton, WI. James was born on February 20, 1944 in Ripon, WI, the son of Robert Fredrick Beier and Ruby Mae (Thiem) Beier. He graduated from Ripon High School and served our country as a member of the National Guards. On October 8, 1966, he married Carol Ann (Dumdie) Beier. James was a very hard working man and was a lifelong farmer. He also worked as a factory worker at Green Giant for many years. James also served on the board of directors for the Ripon Cooperative, served on the board of Loper Cemetery and was a lifetime member of Grace Lutheran Church. James is survived by his wife, Carol Beier; daughters, Tammi Beier, Traci (Patrick) Merrill and Terri (Aaron) Otto all of Ripon, WI; grandsons, Hunter Merrill, PFC Cody Merrill and Seth Otto; brothers, Jerome “Buzz” (Sandy) Beier of Neshkoro, WI and Bruce “Butch” (Cindy) Beier of Ripon, WI; and numerous nieces, nephews and cousins. He was preceded in death by his parents; brother Rustin Lee Beier; in-laws Carl and Ruth Dumdie; and numerous cherished dogs. A visitation for James will be held on Thursday, March 28, 2019 from 4:00 - 7:00 pm at Butzin-Marchant Funeral Home, 515 Mayparty Dr., Ripon, WI 54971, and again on Friday, March 29, 2019 from 10:00-11:00 am at Grace Lutheran Church, 430 W. Griswold Street, Ripon, WI 54971. A funeral service for James will be held on Friday, March 29, 2019 at 11:00 am at Grace Lutheran Church, with Reverend Clay R. Salmela officiating. Interment will take place at Loper Cemetery, Town of Ripon, followed by a final salute with military funeral honors at the cemetery. Memorials in his name may be directed to Ascension Hospice, 2074 American Drive, Suite A, Neenah, WI 54956 or Grace Lutheran Church, 430 W. Griswold Street, Ripon, WI 54971.